If you need to fill or replace the foam blocks in your jump pit soft play area. 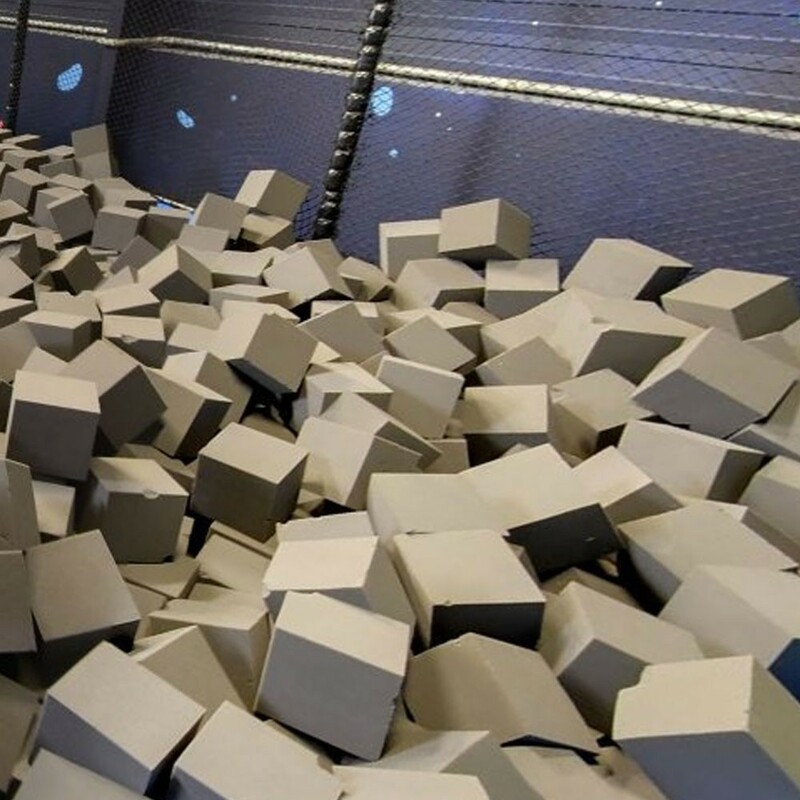 France trampoline brings you these French made, grey foam blocks. Specially designed for the professional market with a density of 17 kg/m3 these cubes are made for intensive action.